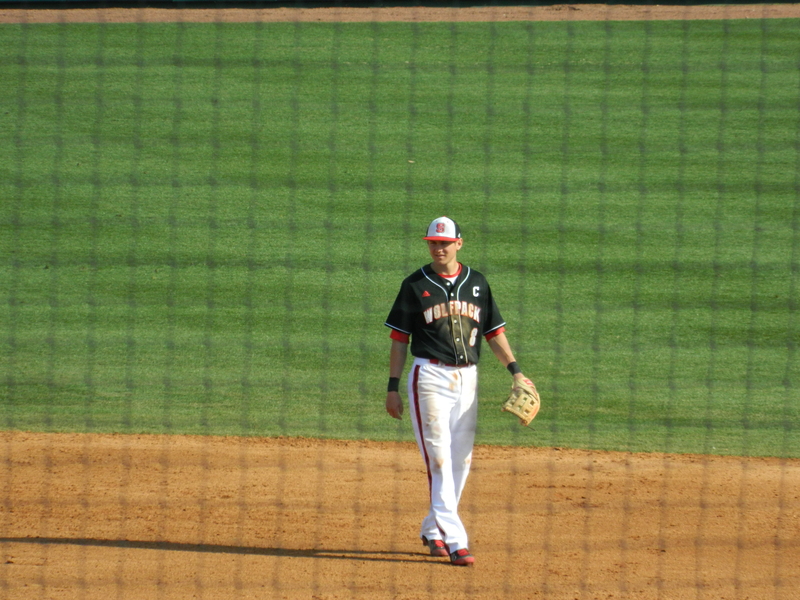 Normally, I don’t blog about college baseball games that I attend. They simply don’t have the same talent level that comes with a Major League Baseball game — or even a minor league game, for that matter — and it’s not usually worth writing about. But the NC State versus Notre Dame game that my dad and I went to on Saturday was a bit different. 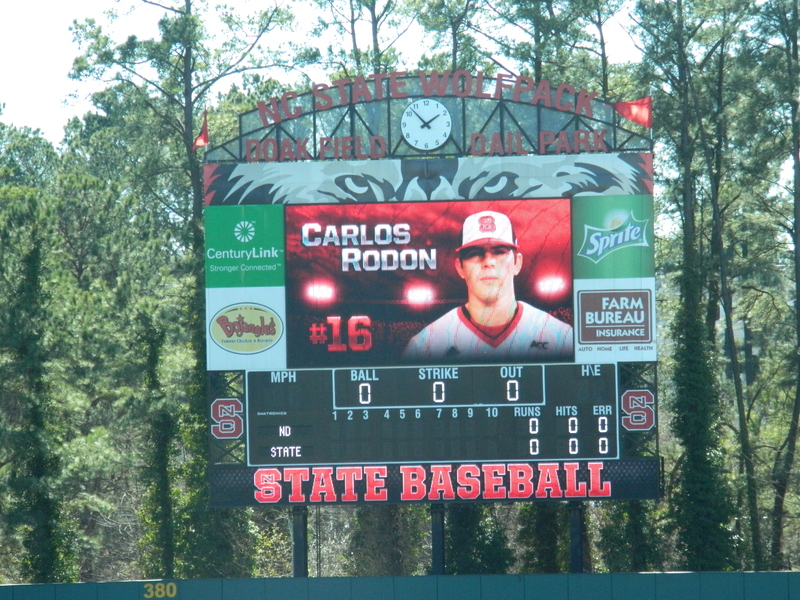 First of all, the projected number one overall 2014 draft pick, Carlos Rodon, was scheduled to make the start for State, and with his previous track record — going 10-3 with a 2.99 ERA last season — Rodon certainly goes a long way in making this year’s NC State team something special. But Rodon isn’t the only standout on the team. In addition, Trea Turner, who’s predicted to be a top ten pick in the upcoming draft, adds excitement to each and every game, none more so than with his above average speed. With both Rodon and Turner, this year’s State team is a must see. Which is why I found myself out at the ballpark on Saturday afternoon. I wanted to witness it all for myself before they both leave following this season. Although he hadn’t started off the year too well, going 1-2, I was optimistic that Rodon would turn things around in his first warm start of the season. 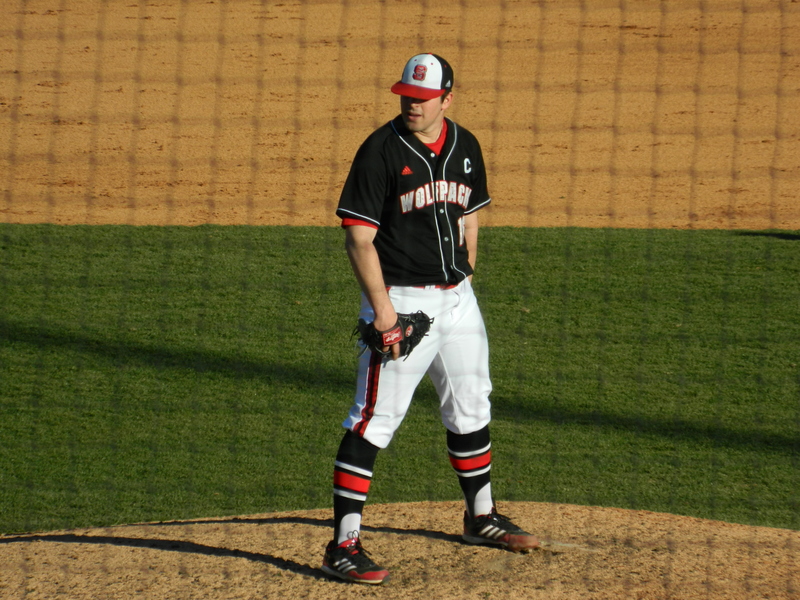 Rodon appeared to be locked in out of the gate, as he gave up just one hit, and struck out two (one of which was Craig Biggio’s son, Cavan Biggio) through the first two innings. In the third, however, Rodon lost a bit of his composure, allowing three hits, but impressed me with his ability to keep things from getting too out of hand, allowing only one run. 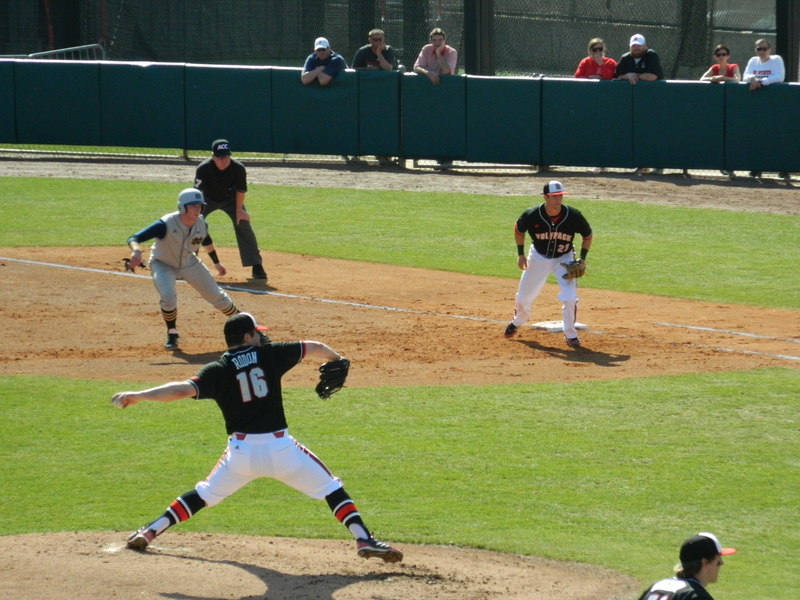 But while Rodon had a great start to the game, he didn’t receive any run support, as State failed to get a man across the plate through the first four innings, due to the equally strong start from Notre Dame’s Sean Fitzgerald. 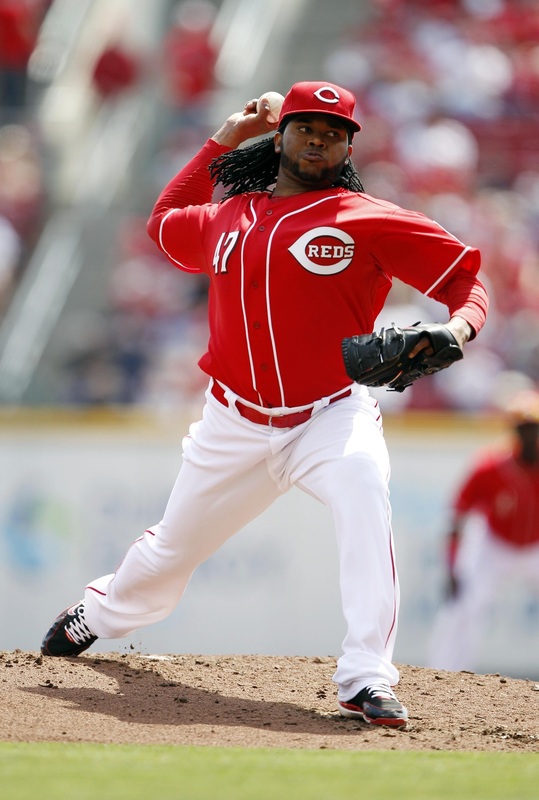 But Fitzgerald finally struggled enough in the fifth to allow a single run, bringing the score to 1-1. When I first found my way over to that side of the ballpark, I heard of a rumor that Craig Biggio was actually in attendance to watch his son play. But since I never actually saw him, I can’t say for sure that it was true. But I digress. Back to the game. Both pitchers continued to do well until the sixth, when each allowed two runs to the opposing squad, raising the score to 3 runs apiece. Fitzgerald was replaced after the sixth, but Rodon was left in, which would turn out to be huge for State. Recording what would be the game winning hit in the eighth, State’s Jake Armstrong proved to be the difference maker, as he singled in Bubby Riley and Trea Turner, whose speed likely aided in his ability to score, making it 5-3, State. Rodon received the win, bringing his win-loss record up to 2-2, to go along with a 2.40 ERA on the season, striking out seven and allowing 10 scattered hits on 121 pitches. My overall impression was that Rodon was good, but not overly fantastic in this particular game, but that’s not meant to take anything away from Rodon. He’s a great pitcher, and will undoubtedly be a star in the majors at some point down the road (as will Trea Turner, who went 1-4 on the day). 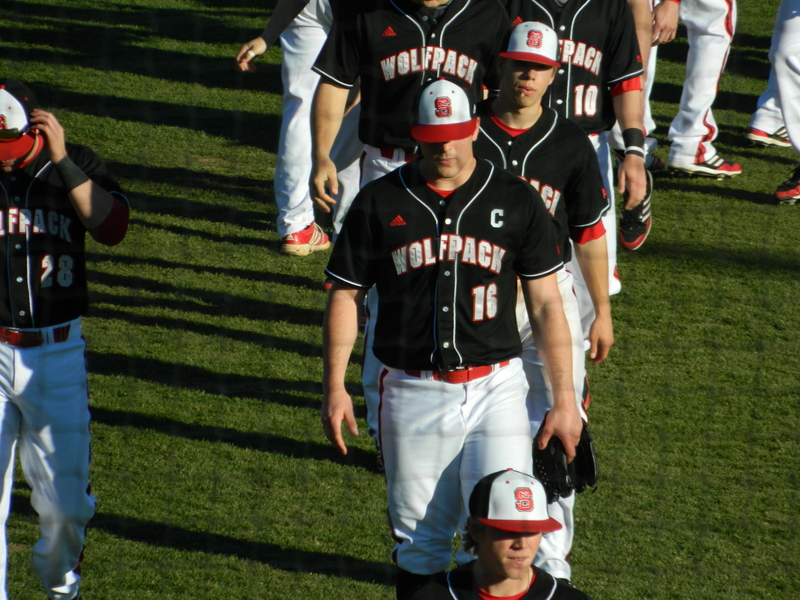 As you may have inferred, I didn’t try for any autographs at this game as I usually do every time I go to a baseball game, but that’s simply because I’m going to be seeing NC State again next month, when they take on UNC at the newly renovated Durham Bulls Athletic Park on April 15th. Rodon isn’t scheduled to pitch, so I’m hopeful I’ll be able to get him to sign for me, along with Trea Turner. But either way, it’s sure to be a fun time, as always. For the first time since 1971, there will be six living Hall of Fame inductees enshrined in Cooperstown on July 27th, in this the 75th anniversary of the museum. 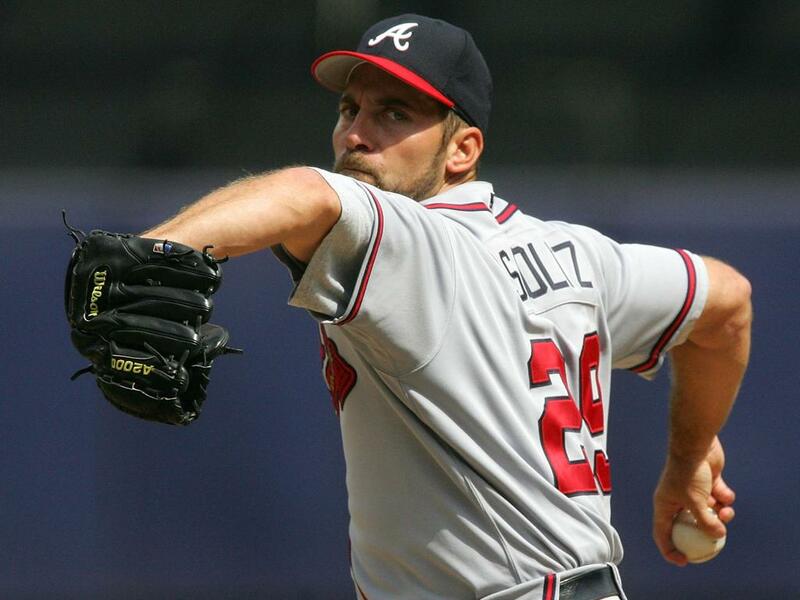 It was announced on Wednesday that Greg Maddux, Tom Glavine and Frank Thomas would be joining Bobby Cox, Tony La Russa and Joe Torre, who were elected in December, as part of the 2014 Major League Baseball Hall of Fame class. 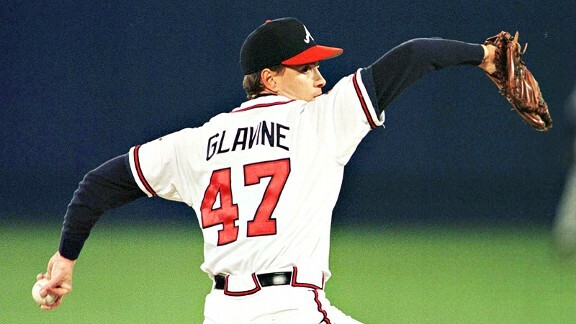 Maddux, Glavine and Thomas — the first player elected to have played the majority of their games as a designated hitter — all received above 80 percent of the vote, and each were elected on their first time on the ballot. This marks the first time since 1999 that three first-ballot nominees (Nolan Ryan, George Brett and Robin Yount) were elected, and just the second time in history. 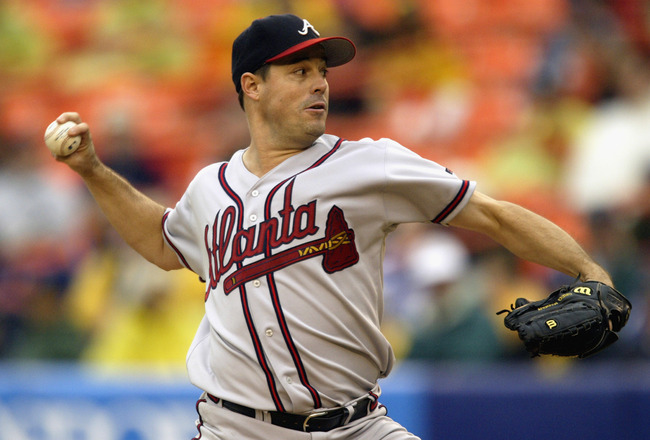 Maddux saw the most votes, earning 97.2 percent of the 571 voters’ approval, making him the eighth highest vote getter in Hall of Fame voting history, behind Tony Gwynn (97.61), Hank Aaron (97.83), George Brett (98.19), Ty Cobb (98.23), Cal Ripken Jr.(98.53), Nolan Ryan (98.79) and Tom Seaver (98.84). All three players were extremely deserving, no doubt about it, but many people feel that a couple of players who were just as “deserving” didn’t get enough recognition. 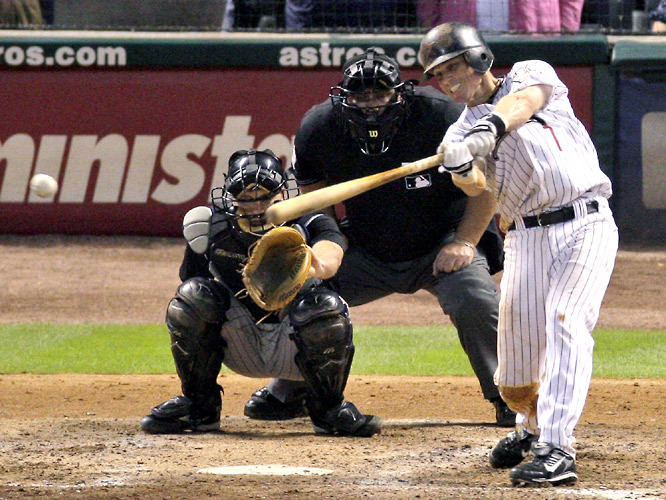 None more so than Craig Biggio, who received 74.8 percent of the vote, falling a mere two votes shy of the 75 percent necessary for induction. Biggio becomes the third player to miss getting in by two or fewer votes, joining Pie Traynor and Nellie Fox, who both eventually made it into the Hall of Fame. 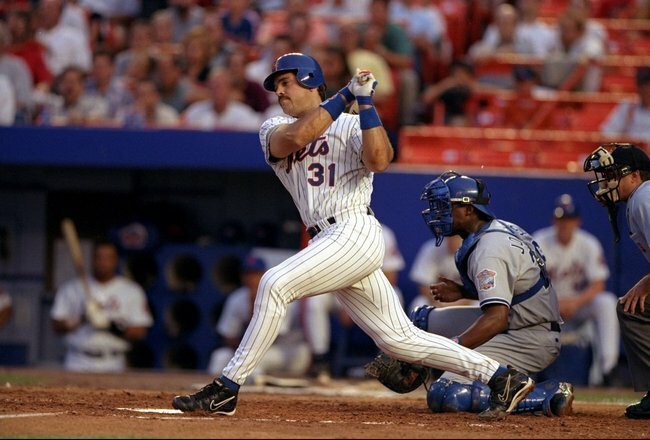 Mike Piazza is another player that didn’t earn enough of the vote to be elected, but could’ve easily been elected in. Piazza’s percentage, as with Biggio, was likely hurt by the great amount of talent on this year’s ballot, but it’s still surprising to me that he didn’t come a bit closer. 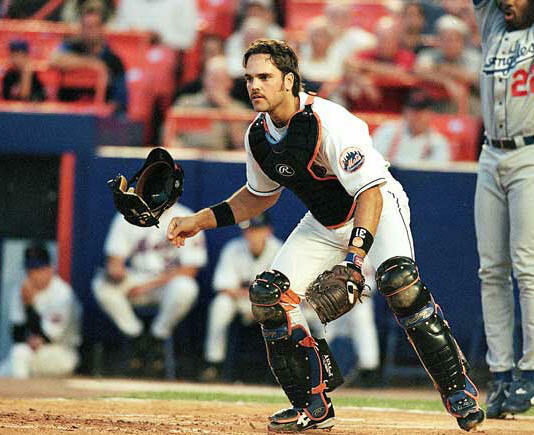 Nonetheless, both Biggio and Piazza will likely be voted in next year. 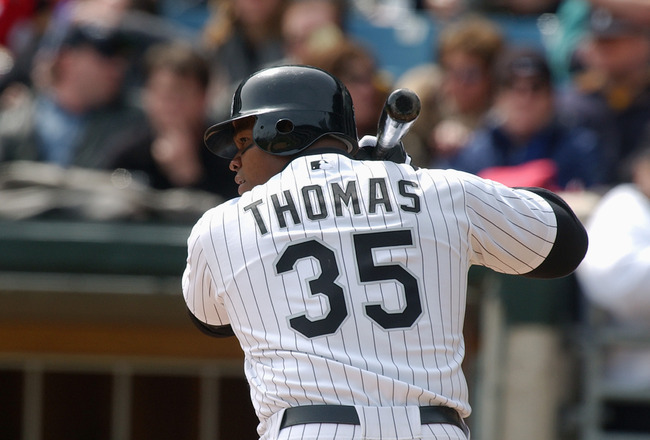 Players who may not ever be elected, however, include Roger Clemens, Barry Bonds, Mark McGwire and Sammy Sosa, who all saw drops in percentages from last year, and are all linked in one way or another to performance enhancing drugs (PED’s). Clemens was the top vote getter of them all, but received just 35.4 percent of the vote, down from 37.6 percent in 2013 — no where near the percentage needed. Rafael Palmeiro, who is also associated to PED’s, didn’t even receive the necessary 5 percent to remain on the ballot for next year, getting just 4.4 percent. Palmeiro is one of 16 players from this year who will not be on the ballot for next year. 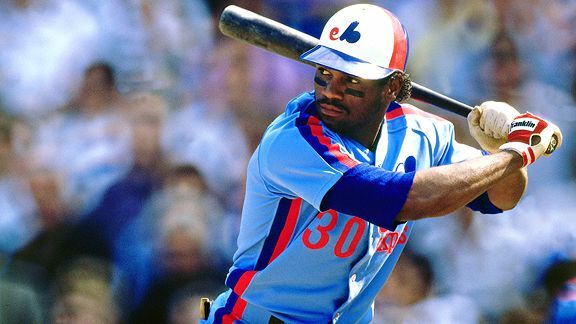 Those players include the likes of Eric Gagne and Kenny Rogers, among others, who were good players but not good enough for the Hall of Fame. Jack Morris will also not be returning next year, as although he received 61.5 percent of the vote, this was his 15th and final year of eligibility. 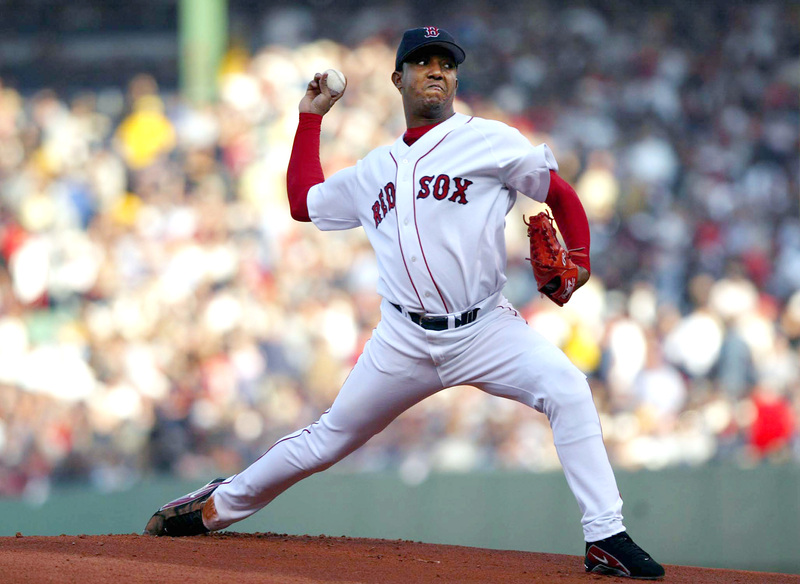 Looking forward to the 2015 Hall of Fame ballot, Randy Johnson, Pedro Martinez, John Smoltz, Gary Sheffield and Nomar Garciaparra will all be making their first appearance, and that could make it tough for really good players such as Mike Mussina and Jeff Kent, who received 20.3 percent and 15.2 percent of the vote this year, respectively, to make much progress. Only time will tell how the voters decide. 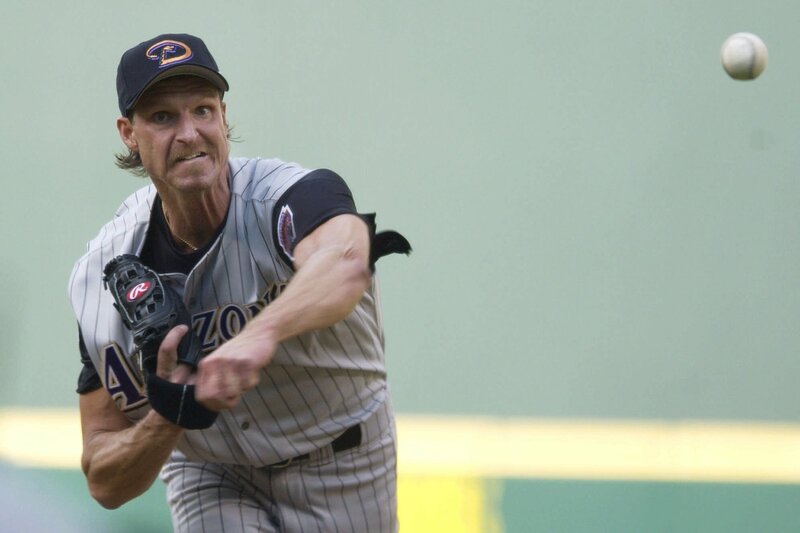 But one thing is for sure: Next year’s Hall of Fame class has the potential to be even more exciting than this one. And that’s truly saying a lot after the memorable class of 2014.